WHEN: Sunday, December 27th 2015 @ 12pm Pacific/2pm Central/3pm Eastern until 6pm Pacific/8pm Central/9pm Eastern. Check in is 30 minutes before the event. Optional check-in is 30 minutes before the session starts (1:30pm CST, 2:30pm EST) and we will stop collecting scores at 8pm CST/9pm EST. 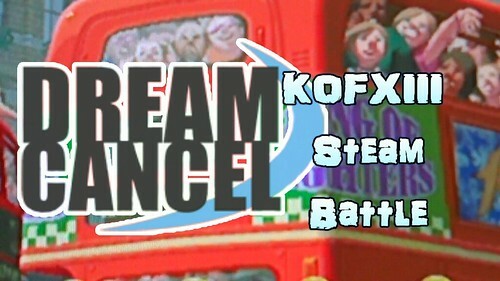 This session will be a special 6 hour session to celebrate the last KOF13 Steam Battle of 2015! Here are the scores from earlier today. The turnout was a more quality player turnout than quantity, so I thought that was really good. Lots of new faces and old showing up to play for 6 hours straight! Like always, if I missed any scores, please let me know! TxC [ON] Vicio: vs dcr45. Looks like you forgot me this time around. My bad. I guess my eye skipped over them when I made the results. I added your wins in the results. Just realized one of my scores isn't posted. My first match was against Sol GoodGuy. I took it 3-1. 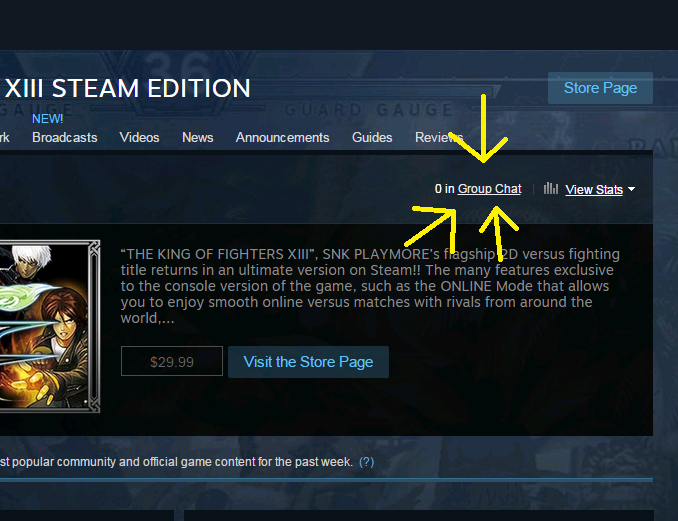 You can check our chat history via the Android Steam app to confirm. It goes back further than the PC Steam app.